Hand poured soy candles (180ml) made in Henley-on-Thames, Oxfordshire with organic and vegan soy wax, natural paraben-free essential oils and organic cotton for the wick. Eden - A floral blend of peony, patchouli & neroli to allow for a moment of reflection and pure contentment. The peony essential oil helps to calm and sooth the mind, the patchouli has emotionally grounding and balancing properties, whilst Neroli is added to promote relaxation and a positive outlook. Namaste - A woody blend of lavender, jasmine & frankincense to quiet the mind and unwind the body... exhale… The lavender essential oil is ideal for relaxation, reducing stress and improving sleep, jasmine helps uplift your outlook and ground yourself and frankincense help focus your intention and balance your mood. Botany - A fresh blend of tomato vine, fig & bergamot to connect with your surroundings and energise the mind. The tomato vine is energising and stimulates the mind, the fig harmonise your emotions and the bergamot is known for its invigorating lift and promoting a sense of confidence. All packaging is completely plastic-free with the candle stored in a reusable glass jar with aluminium lid and biodegradable front label, making this candle a lovely zero waste alternative. 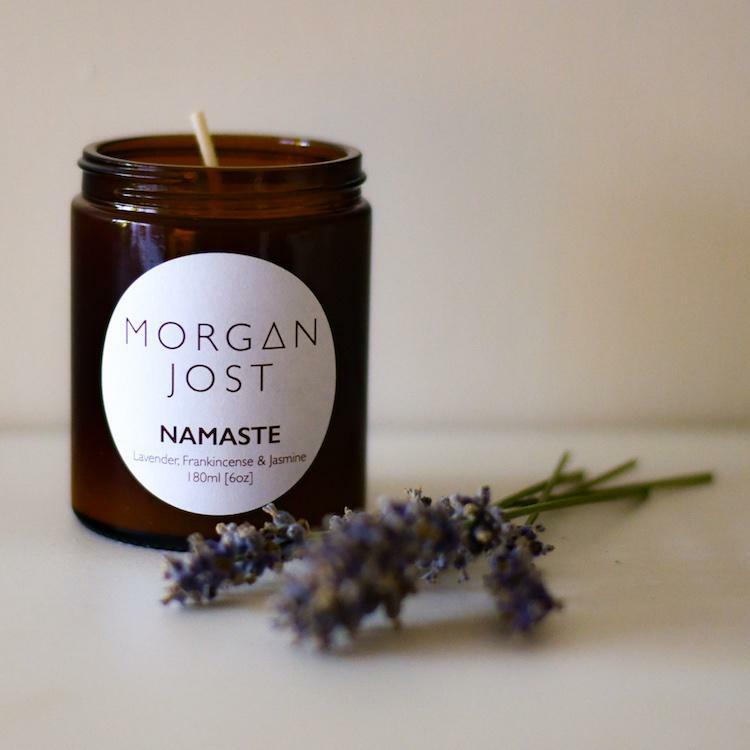 Morgan Jost give 50% of their profits to Mind, a UK-based charity which helps to support people with mental health issues. Ingredients - Natural organic soy wax & paraben-free essential oils. Product Packaging - Amber glass jar, aluminium lid & biodegradable front label. 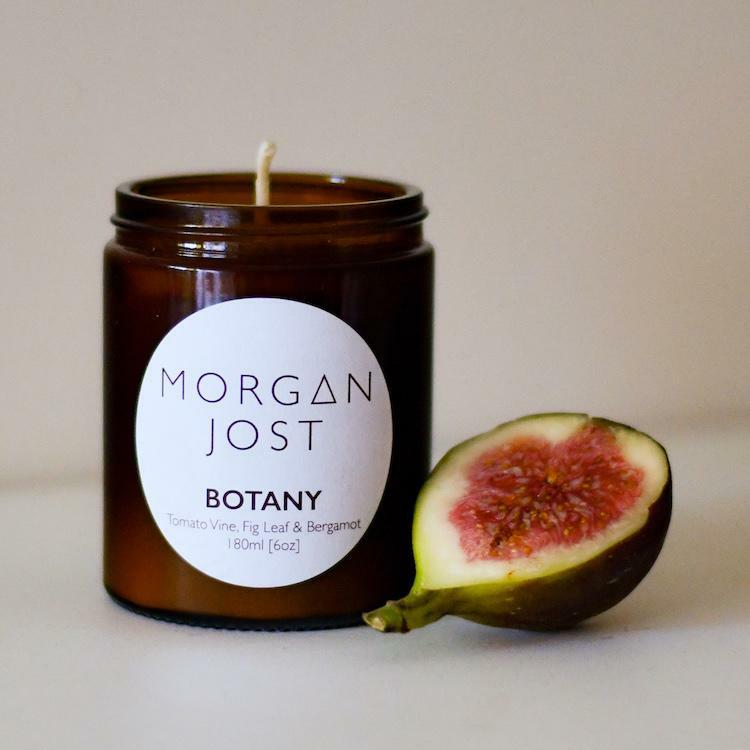 Morgan Jost is a socially minded home fragrance brand which hand-pour all of their organic soy candles in Henley on Thames, Oxfordshire. They donate 50% of their profits to Mind, a charity which supports people with mental health problems and campaigns to raise awareness of the issues. 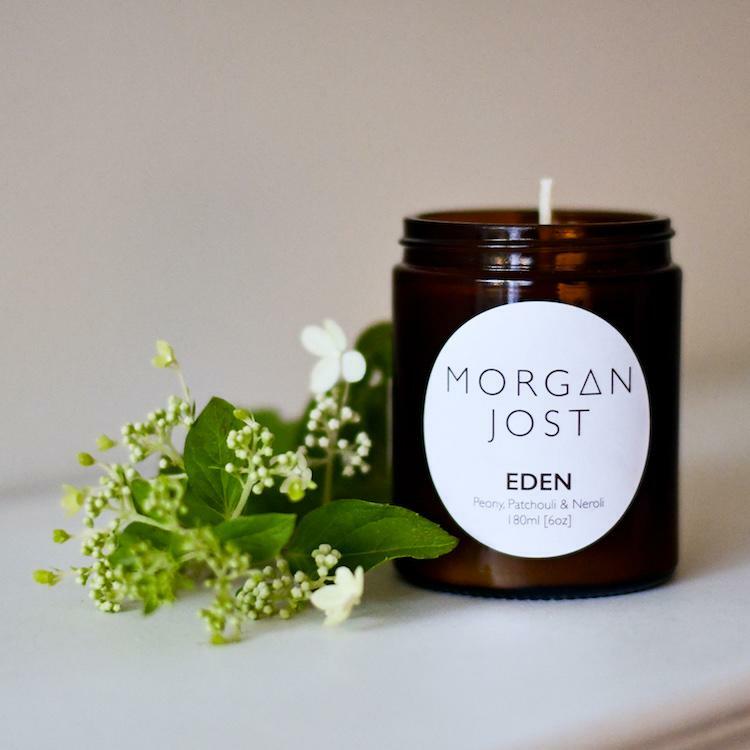 Alongside their significant charitable contribution, from using eco-friendly natural ingredients to their plastic-free packaging, the environment is also at the heart of Morgan Jost as they believe in leaving this world in a better place than we found it. Postage Packaging - Cardboard box & recycled postage label.